Shannon of “coffey creations for kids” made these precious turkeys from her children’s handprints and she is giving us complete instructions for these little darlings. What a absolutely wonderful idea. Shannon tells us: “Seem too complicated, or you just aren’t the crafty type? Maybe you want to give a precious keepsake gift to a new mom?! 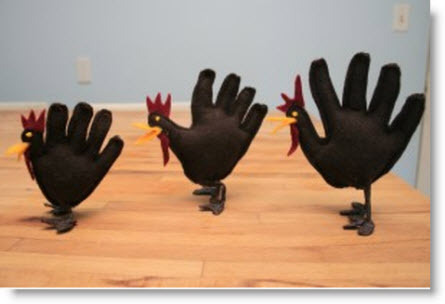 Send me your handprints and I’ll do the turkey for you! Email me at shannon@coffeycreationsforkids.com”!